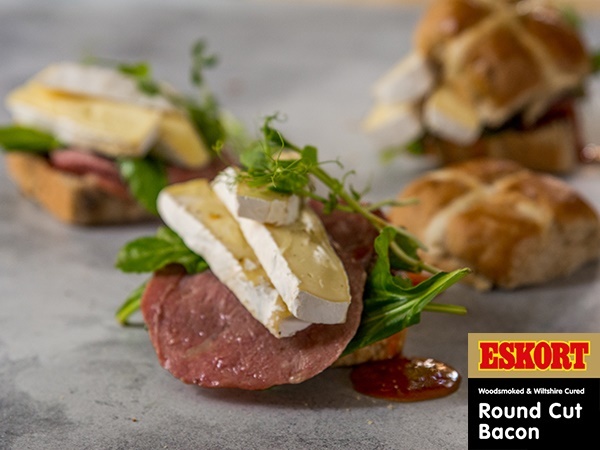 Layers of #JustDelicious crispy bacon, creamy Brie and fresh greens make this Easter favourite a tasty lunch box option any time of the year! Heat olive oil in a frying pan over moderate heat. Add the bacon and fry until crispy. Add a layer of baby spinach and basil to the bottom half, followed by two or three cuts of bacon, a few slices of Brie and a spoonful of tomato jam. Season with salt and pepper then close with the top half of the bun. Tightly wrap each bun in wax paper before placing in the lunch box to keep the filling secured.